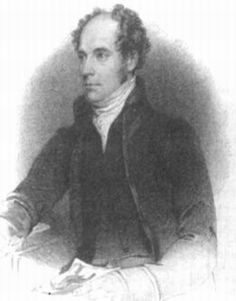 William Swainson was a very capable zoologist and illustrator whose career suffered from his lack of formal training and his propensity for too wholeheartedly adopting theories of dubious worth. His father had been a fine amateur zoologist (and a founding member of the Linnean Society of London), and early on Swainson continued the family avocation while earning a paycheck as a civil servant. He then carved out a successful career as a very talented illustrator and lithographer of natural history works and encyclopedias, though what he really wanted was an academic or museum post. These never materialized, and eventually he emigrated to New Zealand in the autumn of his years. Swainson's lack of greater success can be attributed to a rather too obvious lack of academic polish, and to his adoption of the peculiar quinary system of classification (which isolated his systematic efforts from the mainstream of the time, already dominated by the Linnaean approach). --born in Newington Butts, London, England, on 8 October 1789. --dies at Fern Grove, Lower Hutt, New Zealand, on 7 December 1855. --Oxford Dictionary of National Biography, Vol. 53 (2004). --Archives of Natural History, Vol. 13 (1986): 275-290. --Natural History, Vol. 93(10) (1984): 14-23. --The Osprey, Vols. 4-6 (1900-1902): 104- (in 12 parts). --Journal of the History of Biology, Vol. 35(1) (2002): 5-42. --The Light of Nature: Essays in the History and Philosophy of Science Presented to A. C. Crombie (1985): 83-94. --From Linnaeus to Darwin: Commentaries on the History of Biology and Geology (1985): 51-59. --Journal of the Society for the Bibliography of Natural History, Vol. 8 (1978): 369-379.